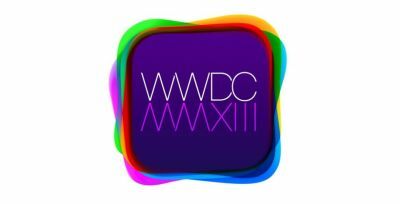 At the Moscone Center in San Francisco, everything is ready for Apple's WWDC conference, which begins on Monday. Although the conference has a developer character, there is a great public interest because announcements of a large number of news are expected. Judging by the poster, one of the main topics of the conference will be iOS 7. This is the first version that is completely designed by Jony Ive, and according to rumors, complete redesign of the OS is expected. Things will be more "flat", in accordance with the so-called flat design that is promoted by Microsoft and imitation of real materials in iOS like "paper", "glass" and "skin" should be completely removed. Among other news we can expect deeper integration with social networks and online services, and according to Tim Cook, opening of Apple's APIs to developers. Also, one of the news that should be announced at the conference is iRadio, Apple's service for music streaming. Agreements with the record labels have reportedly concluded, and launch of the service is expected in the next few months. As for OS X, expected are news from "under the hood", and further integration with iOS. The launch of new OS X is expected later this year.